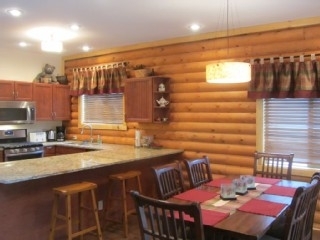 This new luxury log cabin is located on the edge of Cloudcroft village. 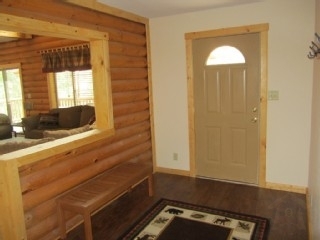 The cabin is more than 2200 sq ft with 450 sq ft of covered deck and a single car garage. 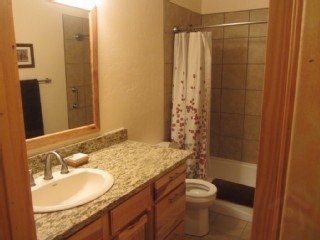 The large master suite (queen) includes a whirlpool tub and walk-in shower. There are two bedrooms (queen and full / twin bunk) downstairs with an additional bath. 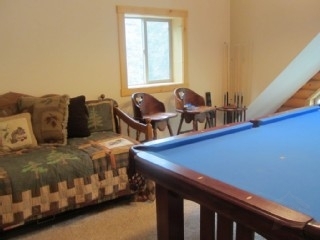 Enjoy a game of pool in the loft which also serves as an additional bedroom for two. 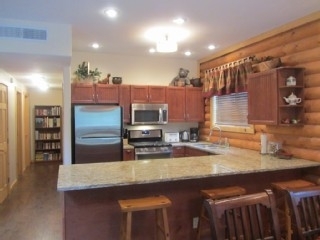 The well equipped kitchen with granite countertops will be sure to please any family chef. Snuggle up by the fire while you watch a movie on the flatscreen tv or enjoy a book. 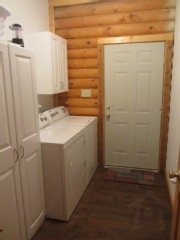 Our cabin contains wireless wifi, satellite tv, washer and dryer, blue ray player, and new appliances. Enjoy feeding the squirrels and the hummingbirds and catch a glimpse of the elk that are usually just outside the back windows each morning. Skyhaven Escape offers the chance to get away from it all with the convenience of being close to the heart of the village fun.